Japan successfully launched next-generation weather satellite "Himawari 8"
28 minutes later, the rocket sent the Himawari 8 satellite into an initial orbit some 260 kilometers above the Earth. Himawari means sunflower in the Japanese language. Himawari 8 will be placed in a geostationary orbit about 36,000 kilometers above the Earth and starts operation around next summer. The Himawari 8 is equipped with much better observation and data processing capabilities, compared to Japan’s current weather satellites. The new satellite’s imager can see in greater detail than its predecessors and relay color images instead of the previous black-and-white. Readings will be taken every 10 minutes, compared to the current 30-minute updates. Pictures of typhoons and other weather events around Japan’s archipelago can be taken at even faster refresh rates of every 2.5 minutes. This will enable more precise monitoring of tropical cyclones and clouds that bring heavy local rain. This was the 19th consecutive successful launch of an H2A rocket, and brings the success rate up to 96 percent. 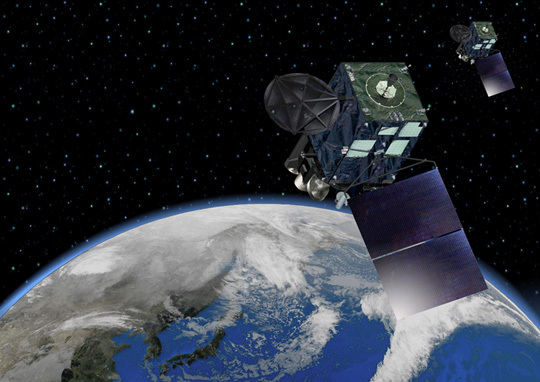 Himawari-8 is the eighth satellite to incorporate Mitsubishi Electric’s original DS2000 satellite platform. 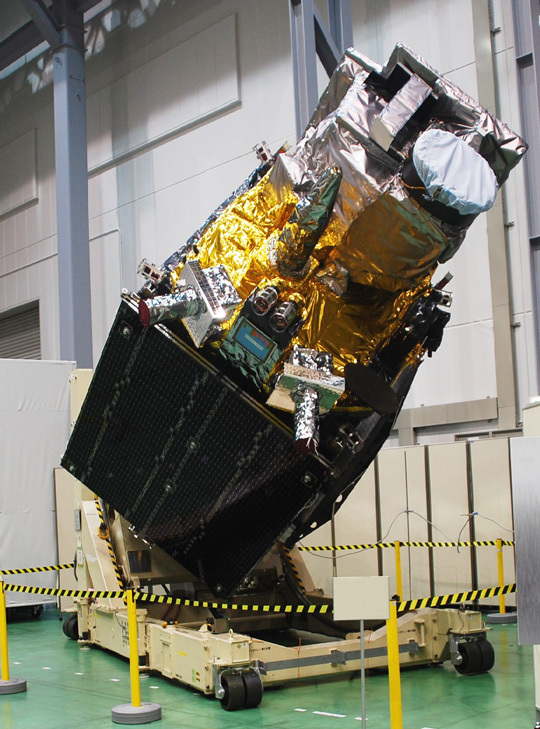 Its sister, Himawari-9, is currently being built at the company’s Kamakura Works. When Himawari-9 is launched in 2016, it will mark over 20 years of Mitsubishi Electric’s involvement with geostationary meteorological satellites, beginning with MTSAT-2. By 2017, Mitsubishi Electric expects to have produced 15 DS2000 satellites. To date, all DS2000 satellites launched have operated successfully. Building on this superb track record, Mitsubishi Electric will continue to serve the global commercial satellite market with its ever-increasing family of reliable DS2000 satellites. H-IIA, Japan’s primary large-scale launch vehicle, is designed to meet diverse launch demands, at lower cost and with a high degree of reliability, by making the best use of the H-II launch-vehicle technology. The simplified design and improved efficiency of the manufacturing and launch processes of H-IIA have achieved one of the highest performance to cost ratio of launch system in the world, reducing the cost of launches by a half or more. Japan launched its third mission of the year on Tuesday by lofting the Himawari 8 weather satellite atop an H-IIA carrier rocket. Liftoff from pad 1 of the Yoshinobu Launch Complex at the picturesque Tanegashima Space Centre occurred on schedule at 14:16 local time (05:16 UTC). Japanese Launch: The eighth satellite in Japan’s Himawari series of geosynchronous weather satellites, Himawari 8 marks the beginning of the constellation’s third generation of spacecraft. The satellite was constructed by the Mitsubishi Electric Corporation with assistance from Boeing, and is based around the DS-2000 satellite bus.